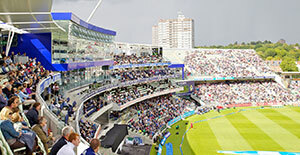 World class cricket and tennis sporting events are on offer in Edgbaston. Go and see a cricket match at Edgbaston Stadium, whether a T20 match, One Day International or County Cricket game, tickets need to be pre-booked. Ahead of the cricket game you could pop into the MAC, or have a drink or bite to eat in The Village.